This deep tissue massage video covers the hips, back, belly, shoulders & neck. Learn to alleviate pain with 53 highly effective neuromuscular techniques! 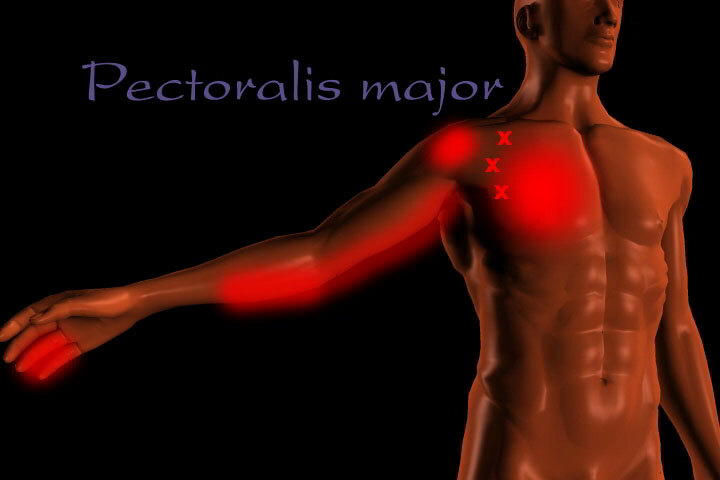 Get a 3-dimensional view of the muscles, which have been modeled out of clay and feature computer generated trigger point referral overlays. This great video not only covers neuromuscular therapy, but includes functional assessment work, so you know where to work, and how. Along with range of motion and resistive tests, you will learn basic postural evaluation techniques. As part of a comprehensive deep tissue treatment protocol, discover how to work on the tendons, ligaments and muscles with effective neuromuscular and deep tissue strokes. Finally complete the work with stretches. This video includes 53 deep tissue massage techniques, 31 muscles and 29 trigger points. In this video Mr. Riehl shows the assessment of the hips in terms of anterior/posterior rotation and high/low hip movements, and how these movement affect the lower back pain. Also covered are the adductors (for groin pulls), and the other hip muscles that control the internal and external rotation of the femur (like the piriformis that can cause sciatic nerve impingement). The lower back section discusses the most important muscles of lower back pain and their referral patterns, as well as how to evaluate for spinal mobility to help pinpoint pain. The neck section shows evaluation of the four ranges of motion and how to alleviate restriction. How to work on the anterior cervical vertebrae by pushing aside the trachea and touching the front of the cervical spine is also shown- great for whiplash sufferers. The deep tissue massage work on the scalenes will help people who have arm pain that comes from this area.